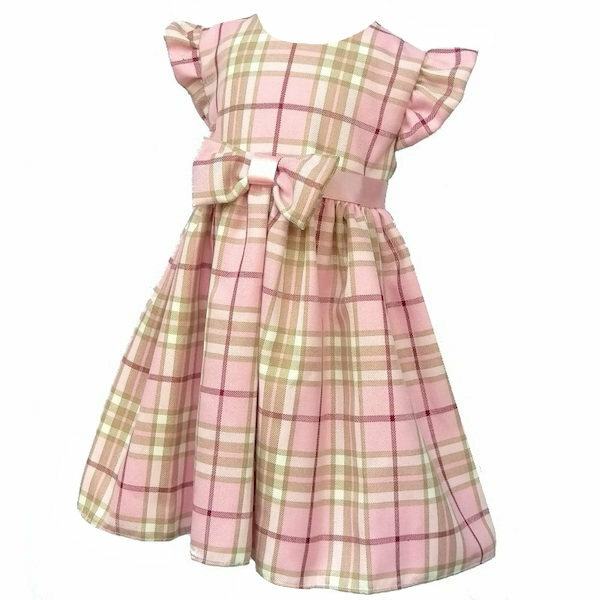 Girls pink tartan check cap sleeve bow dress, perfect for a baby or toddler, suitable for all occasions including a wedding, special party, Christmas etc. 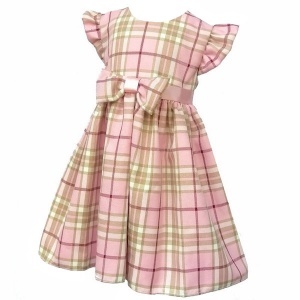 Dress: Soft fully lined A-line dress with a pink tartan check pattern all over. The bodice has a scoop neckline with capped sleeves. A beautiful large pink check bow is to the centre with a pink satin sash that beautifully ties around at the back in to a bow, with a zip fastening. 2-3 Years 22" 17" 23"
3-4 Years 23" 18" 24"